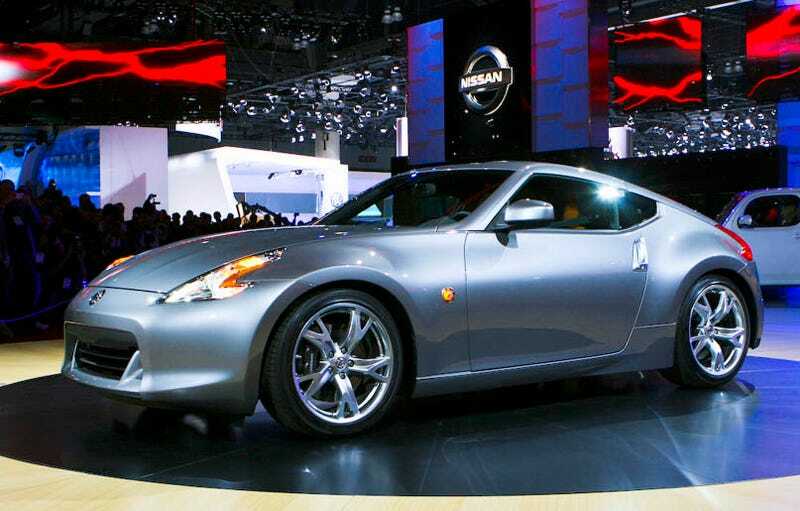 We got a great look at the new Z-car when Wes went out and bagged the 2009 Nissan 370Z at that exclusive LA enthusiast party, and now we've got the details to back up these brand new live reveal shots from the floor of the LA Auto Show. The new 370Z gets added oomph to match the more muscular and compact looks with the now 3.7 liter V6 getting 332 HP and 270 lb-ft of torque to match the six speed manual or a 7-speed automatic with "Downshift Rev Matching" all riding on top of a car 225 lbs lighter than it's predecessor. Conveniently, Nissan has provided an afternoon's reading for everyone which we've included below. There is much to digest about this car and all of it tastes pretty good so far, but as with any car, the proof will be in the driving.